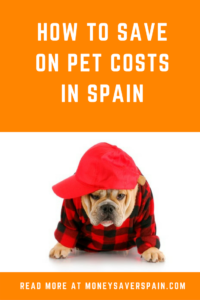 With around 6 million dogs and 4.5 million cats in Spain, there’s a huge market for all things pet related. Read our round-up about how you can save. Why buy if you can adopt? Buying a pet can be expensive. Adopting an unwanted or abandoned animal normally just brings with it the cost of vaccinating and getting a microchip fitted. There are plenty of associations in Spain that are looking for homes for animals. Check for one near where you live (Google “animales abandonados” and your area). With the rise of online stores there’s no longer a need to bring home heavy sacks of pet food. Compare online specialist stores (see below) with your local supermarket delivery service or online ordering. Amazon Spain Supermarket. 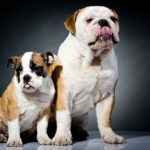 With a large choice of items, Amazon is a good option for buying pet food online. Signing up for Amazon Premium is only 19.95€ year (see our post for more info) to get free delivery. Tiendanimal. Website partially available in English. Delivery to all Spain, including Islands, free for orders over 49€. Check “Specials” page for current offers. PetClic.es: If you register online you’ll get 200€ in discount coupons. Delivery is free for orders over 39€ to mainland Spain (orders over 70€ to Balearic Islands). Miscota.es: Sign up for the newsletter to receive discount and promos offer. Delivery costs are not shown as it depends on which option you choose during the purchase process and whether you have any discounts to apply. (But who wants to waste time choosing products without knowing the full price with delivery charges?) Home page shows current promos and discounted items. For all online orders, don’t forget that it’s quite easy to reach the threshold for free delivery as sell-by dates tend to be long on most pet foods. Also for heavy items you get the added benefit of delivery to your door. 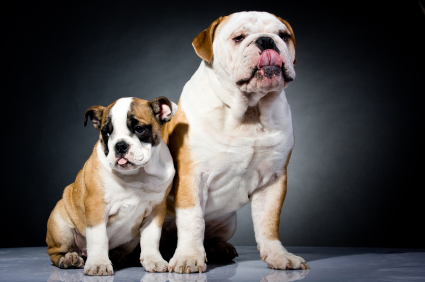 The cost of pet insurance can be worthwhile given the potential cost of vets’ fees. Always check the small print as, for example, overlooking annual injections could invalidate your policy. Additionally your pet will normally have to have a microchip fitted and won’t be covered if it takes part in sporting or hunting activities. In Spain most of the major insurance companies offer policies, so check out Mapfre, Santalucía or Ocaso. Additionally there’s a website called SegurVet that you can check. Anybody who’s brought their pet from abroad should make sure to mention it to the insurance company.